Hello from an overcast windy and cold Malta, winter has decided to knock on the door. The heater is on, the TV is on Family Guy (again) ,the Christmas Tree lights are flickering softly. So let’s go on and review some delightfully well priced beauty products from Boots. Purchased while in London, I was just intrigued to see how the very reasonably priced Boots own brand products compare to other known brands. 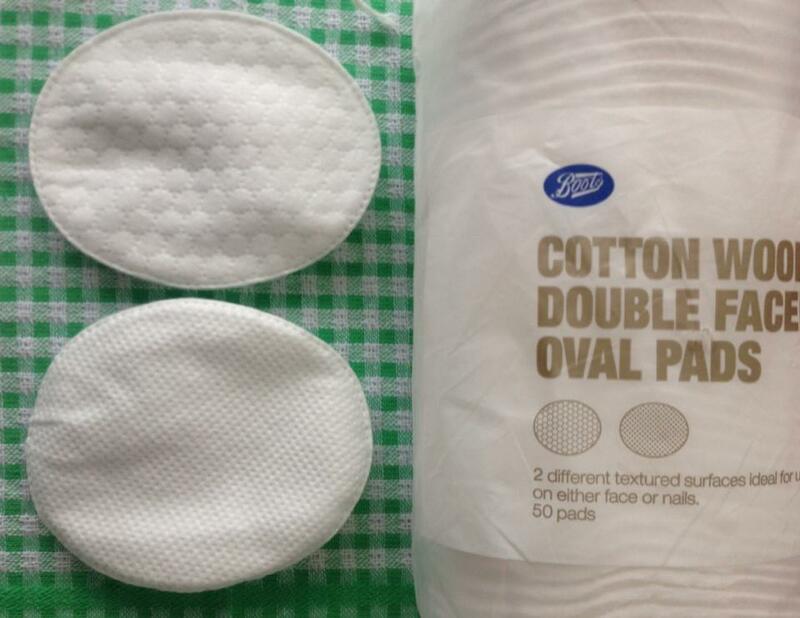 To be honest for the past 5 years what I do when I visit the UK is buy around 10 packs of Primark Cotton Pads. Reason being they are well priced and they do the job perfectly. This time around I mixed it up and bought 5 boots oval pads cause I liked the two textures. They are extremely soft and both sides are great for the face. The smooth side is especially good for toner application while the circular side I find is better to remove the nail polish more effectively. 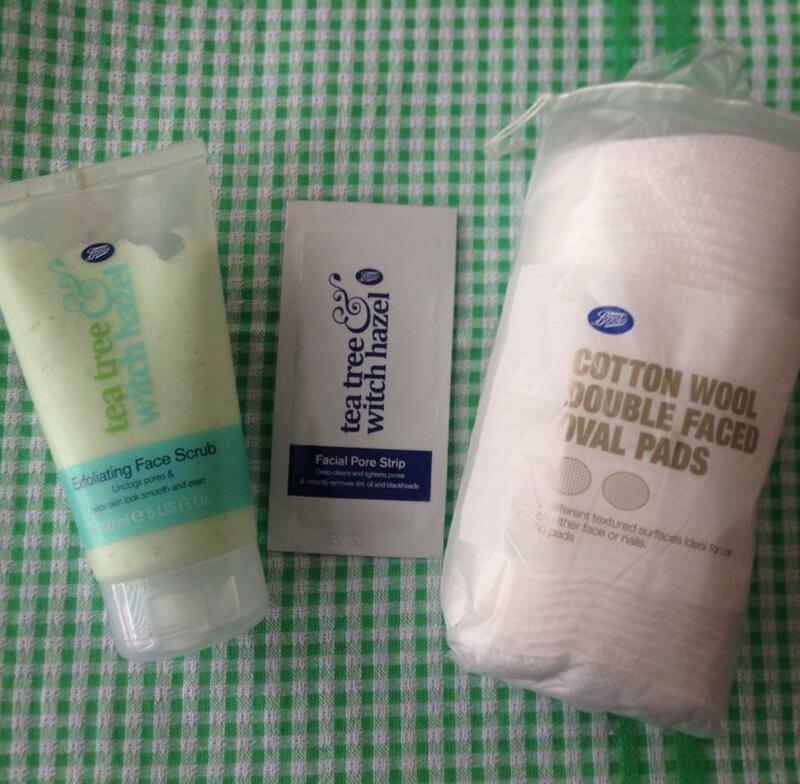 Result: 9.5/10 – Malta does not supply Boots product which means next UK trip will involve a layer of cotton wool in my luggage which means less shopping! The Facial Pore Strip. Usually I use this as part of my monthly mask application routine, and I have this love hate relationship about it. Mainly as it is pretty horrifying what is removed from your nose skin, however it is pretty fascinating to see what residue is pulled off. The only down point about these strips is that they are straight and do not have the round bit that goes on the nose tip. Result: 6.5/10 they work well on skin that does not need much deep cleaning. It would be far better if it had the nose tip ridge to be more effective. 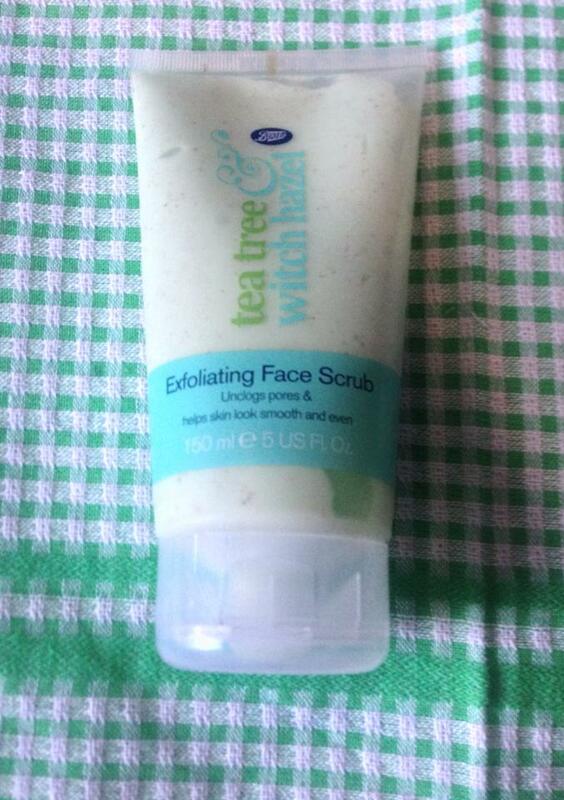 Tea Tree witch hazel, Exfoliating Face Scrub. 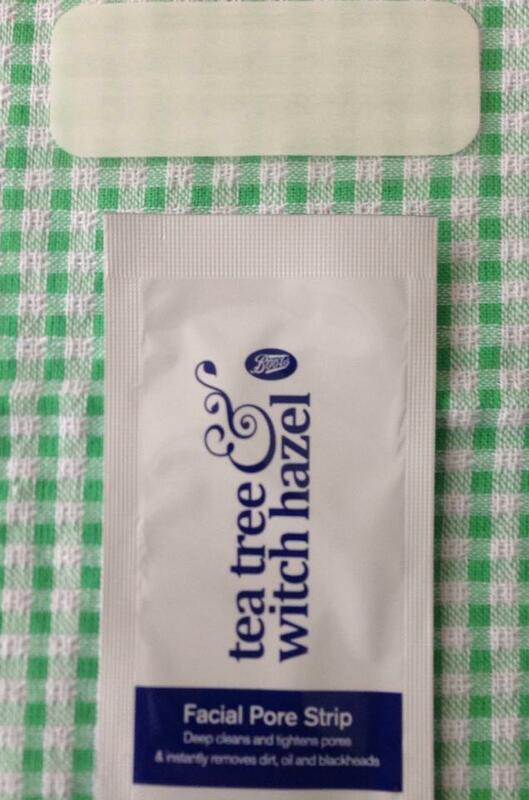 First and foremost there is no confusion that this product has Tea Tree oil, the scent is distinctive straight away. The product itself is not harsh at all on the skin, the particles are fine and I must repeat the scent is heavenly! After massaging it delicately on your skin avoiding the eye area, rinse with warm water and my skin felt soft and subtle. Most face scrubs usually dry my skin which really annoys me as that is the opposite I want my face to feel or look EVER! Hope this review will help on your next purchase! P.S All products were purchased with my poor Visa and views are my own!